Maya Muñoz, ‘Arena’, 2018, beeswax, charcoal dust, oil and enamel on canvas, 196 x 476cm. Image courtesy of the artist and Yavuz Gallery. Every day, she took her son to a seedy café for piano lessons. Every day, she met Chauvin there. Then, one day, she witnessed a gruesome murder and her life changed completely. She began looking forward to her visit to the café. Chauvin and she would talk for hours speculating the details of the murder. Maya Muñoz, ‘Portrait (Fuchsia)’, 2018, oil on canvas, 45 x 38cm. Image courtesy of the artist and Yavuz Gallery. ‘Moderato Cantabile’ by Marguerite Duras is a novel about ambiguous, fleeting moments and half-expressed emotions. Throughout the book, the reader is constantly struggling with the truth about every scene and every dialogue – but within that struggle lie the true messages that the author is attempting to put forward. Filipino artist Maya Muñoz’s ‘Kantil Moderato (Slow Tempo Edge)’, a solo exhibition currently on display at the Yavuz Gallery, draws inspiration from Duras’ popular novel. 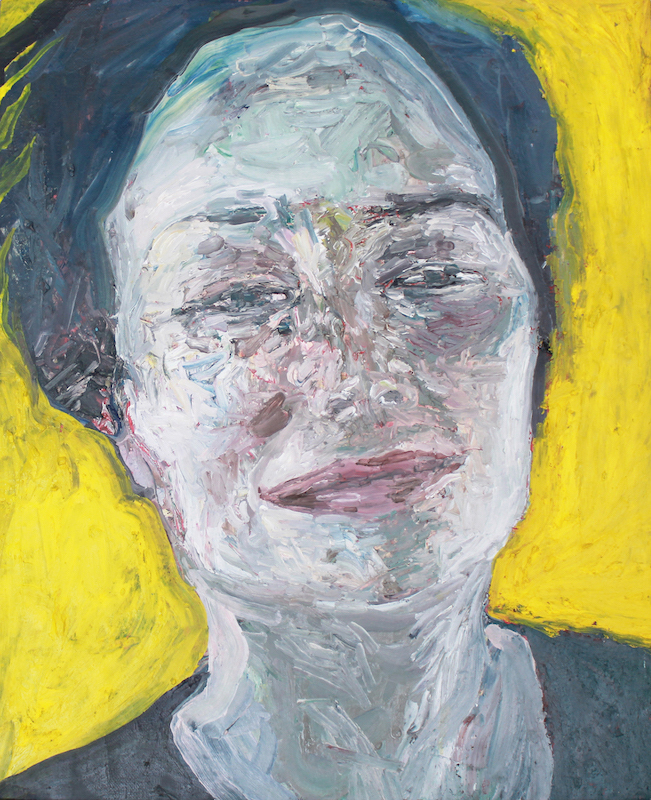 Maya Muñoz, ‘Portrait (Yellow)’, 2018, oil on canvas, 45 x 38cm. Image courtesy of the artist and Yavuz Gallery. After years of concentrating her artistic practice on abstraction, Muñoz has found herself at the doorstep of figuration with this solo exhibit, her first in Singapore. In each of the works, there is a Duras-ian ambiguity, not only because of the marriage of abstraction with figuration in her works but also because of the varying energy and tension throughout the surface of the canvas. A large part of the exhibit displays portraits or rather the “essence” of the same woman — an acquaintance — that Muñoz has captured within the layers of paint. Installation view of ‘Kantil Moderato (Slow Tempo Edge)’. Image courtesy of Yavuz Gallery. ‘Arena’, the largest and perhaps, Muñoz’ most easily recognisable work, portrays the imagery of Filipino boxer Manny Pacquiao engaged in a match. 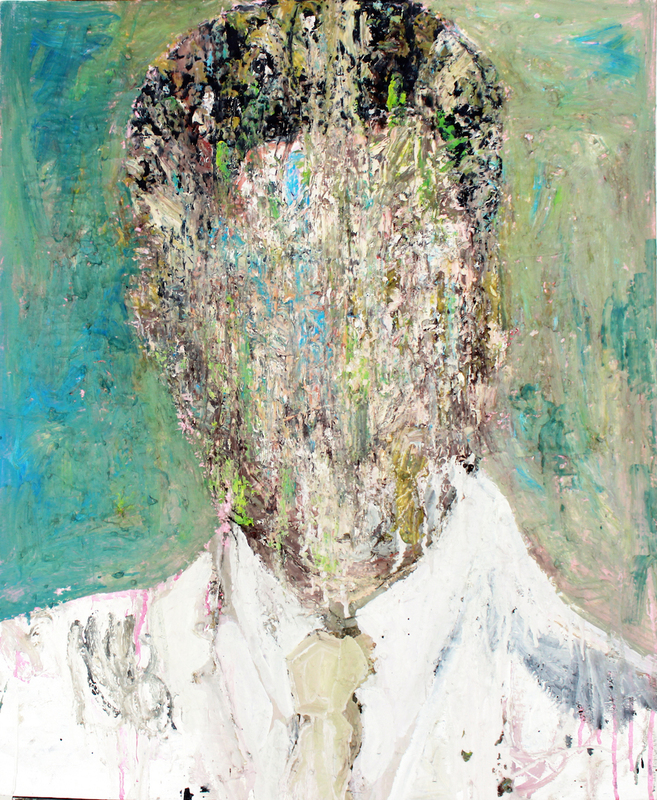 While the painting comforts the viewer with visual familiarity, the artist’s intention behind the choice of the subject and method of execution in terms of composition and colour — also evident in her portrait of Andrew Cunanan, the man who shot Gianni Versace — immediately brings back the sense of uncertainty. There is a poetic sense of unfamiliarity within the familiar in each one of her works. Maya Muñoz, ‘Andrew, American Dream’, 2018, oil on canvas, 76 x 64cm. Image courtesy of the artist and Yavuz Gallery. Maya Muñoz’ series of neo-expressionist, abstract portraits beautifully combine the dynamism of abstraction with the intimacy of portraiture, simply to be felt and not understood.